Roadway intersections are a common scene for car accidents. There are cars approaching from four different directions, all in conflict with one another. Some are attempting to cross through the intersection, others may be trying to turn left. 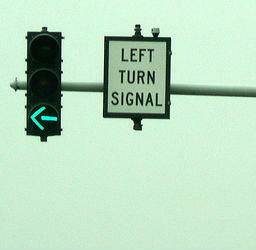 Many intersections now rely on traffic signals to help reduce the incidence ofcar accidents. However, sometimes a driver may fail to notice, or choose to ignore the safety device. This can be even more devastating as ongoing traffic often feels secure that the traffic light is protecting them, and probably not paying attention to oncoming traffic. In any instance where you are involved in a car accident at an intersection, notify a an attorney immediately. Many of these claims rely on witness testimony to prove liability. The sooner an attorney gets involved the sooner it may be obtained. Contact a St. Louis car accident lawyer by calling (314) 361-4242.